Search engine and tech giant, Google, is celebrating the 62nd anniversary of the birth of renowned Bangladeshi filmmaker, Tareque Masud, with a Doodle on its homepage. Doodles are a special, temporary alteration of the company's logo on Google's homepage that honour anniversaries of notable personalities and events. Tareque Masud was born in the village of Nurpur, under Faridpur district, on Dec 6, 1956. 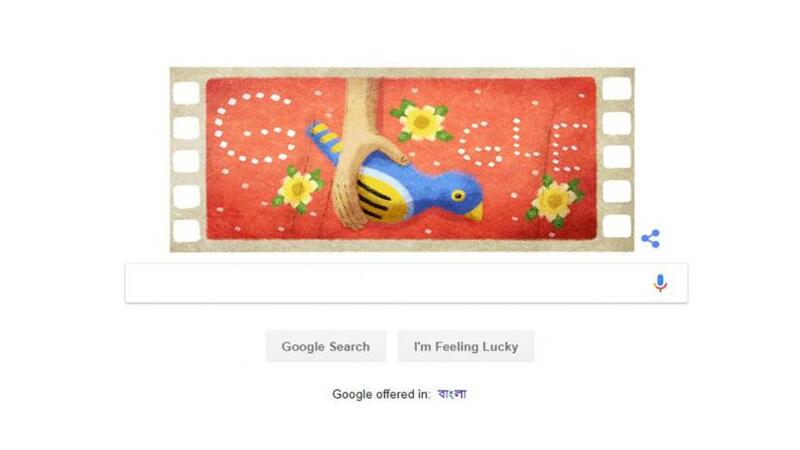 "The first Bangladeshi director to participate in the Oscars or to be honoured at Cannes – Tareque Masud – was a driving force within his country's independent film movement," Google has written about its Doodle. Thanking Google, the filmmaker's wife Catherine Masud said: "It is a great honor to have Tareque Masud's legacy recognized by Google. Tareque was a visionary and a pioneer of Bangladeshi cinema—an inspiring figure for young people in his own country and beyond. Although he made films for the people of Bangladesh, his work also spoke to the world through universal themes of tolerance, compassion, and justice." In 1991, Tareque started his career with his first film Adam Surat (The Inner Strength), and then made a documentary on the legendary Bangladeshi painter S.M. Sultan, in 1982. His 1995 feature length documentary on the '71 Liberation War, Muktir Gaan (Song of Freedom), attracted a record audience and became a cult classic. He also made many other films about the war, including 1999’s Muktir Kotha (Words of Freedom), Narir Kotha (Women and War) in 2000, and Naroshundor (The Barbershop) in 2009. In 2002, he completed his feature film Matir Moyna (The Clay Bird), which was based on his childhood experiences studying at a Madrasa. The film won the Critics' Prize (FIPRESCI Prize) at the Cannes Film Festival 2002, was the first Bangladeshi film to compete at the Oscars, and was released in many countries around the world. On Aug 13, 2011, Tareque Masud – along with renowned cinematographer and media specialist Mishuk Munier, and three others – was killed in a road accident on the Dhaka-Aricha highway, in the Ghior upazila of Manikganj—while returning to Dhaka after visiting a shoot location. The accident occurred when the microbus carrying the two celebrities was hit by a bus—on the highway. Notably, in 2017, writer and filmmaker Humayun Ahmed was also honoured with a Doodle on his 69th birthday. Some other filmmakers who have been honoured with a Doodle are: Satyajit Ray, Akira Kurosawa, Sergei Eisenstein, Raj Kapoor, and Chantal Ackerman.